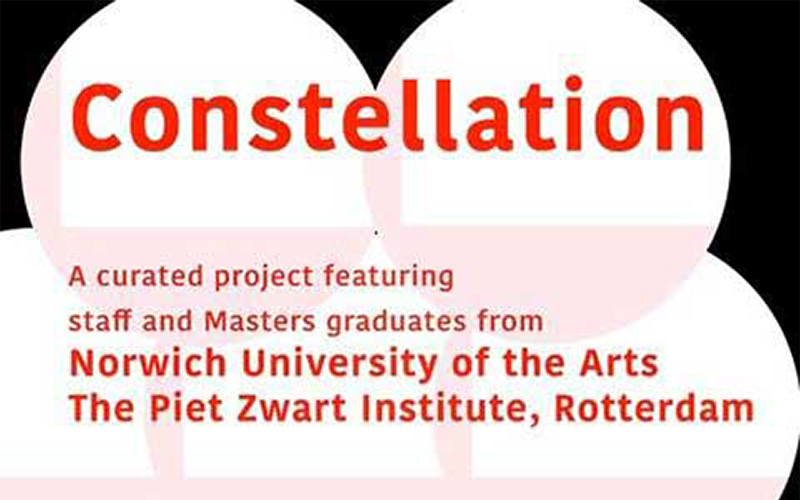 Constellation is a collaborative curated project featuring MA Fine Art staff and graduates from Norwich University of the Arts with the Piet Zwart Institute, Rotterdam. In Constellation, the artists disrupt the traditional structure of the exhibition, placing the process of dialogue centre-stage. Constellation looks at the subtle impact of exchanges between course tutors and postgraduate students. Against the backdrop of British Art Show 8, this collaboration offers an exploratory approach to the possibilities of the exhibition. Uninhibited by the need to conform to a pre-existing concept, Constellation is more tentative in its approach, and perhaps more representative of the manner in which work comes into being. The exhibition runs from 2nd – 17th July at The Undercroft Gallery, Norwich.